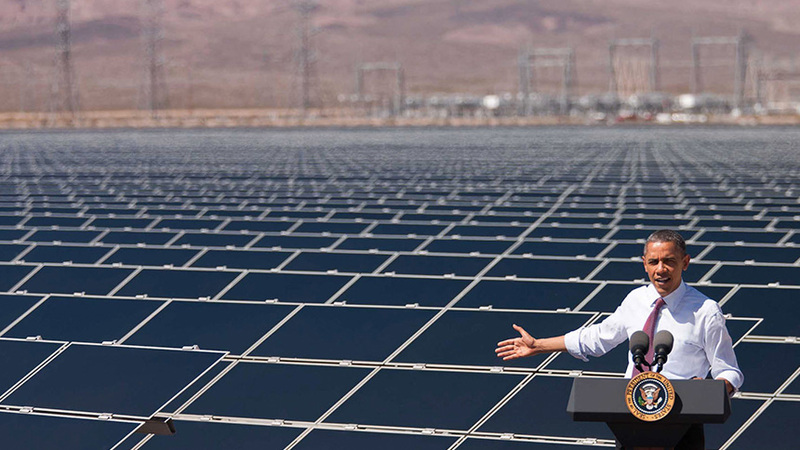 This week, President Obama joined 19 other world leaders in launching Mission Innovation -- an initiative to dramatically accelerate public and private global clean energy innovation to address global climate change, provide affordable clean energy to consumers, including in the developing world, and create additional commercial opportunities in clean energy. To complement this effort, Bill Gates is spearheading the Breakthrough Energy Coaltion, a private sector-led effort that has pledged to invest extraordinary levels of private capital in clean energy, focusing on early-stage innovations. Every day, we are seeing and feeling the effects of climate change -- here and across the globe. It poses a clear and present threat to our economic and national security. No country is immune from the consequences of climate change, and no country can act alone. Right now, we, as people, face a critical moment. For the first time in history, we have a chance to put in place a global climate agreement that will spur countries to take ambitious action that will reduce carbon pollution, support clean energy, and ensure we deliver a planet that is worthy of future generations. That is why President Obama is heading to Paris on November 29. He will meet with leaders of countries large and small -- the world's largest emitters and the ones that are most at risk -- to find a way we can collectively reduce global emissions. Under President Obama, we've already taken the lead on the world stage. The President's Clean Power Plan will cut emissions from the U.S. power sector -- which makes up a third of U.S. emissions -- by more than 30 percent by 2030 and save more than $50 billion in climate and health-related costs in the process. It's the largest step the United States has ever taken to combat climate change. No agreement can serve as the "silver bullet" to solve climate change. However, this agreement could help ensure that American action is met with global action to reduce the impact of climate change and preserve a planet that is worthy of our children. So check back here to get the latest from Paris, follow @FactsOnClimate, and learn what more you can do to help ensure the world joins the U.S. to #ActOnClimate.